The new with GUI base on simple comand line tool made by kino as my friends who is one of AOP Studios Team member. It will convert flag file to pes2011 flag file format after edited in GGS studio, so can work nicely in PS2 machine. Las instrucciones podrían estar en español, no todos sabemos inglés. 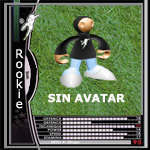 Somebody has a link for the archivos FLG for PES 13 PSP?